I haven’t followed the Doctor Who series a lot and have only ever watched a couple of episodes. However, the fascination that even the very idea of the show held for me has been immense. There were times when the mere thought of a near immortal alien being, powerful enough to lord over time but benevolent enough to defend humankind, who, in appearance, resembled a quirky Englishman, travelling the length and breadth of the Universe, both in space and time, in a spaceship and a time machine that was larger on the inside than on the outside and which resembled a 1950s British police box, gave me goose bumps. And now, finally, I might actually pull up my socks and watch all episodes of a couple of consecutive seasons, for Doctor Who has premiered on Indian Television. In my opinion, the show, which has been on British TV since 1963, has the same strengths as the best British genre fiction in any form: it manages to inspire, simultaneously, both unfettered joy in the very artifice of story-telling and a willing suspension of disbelief. Take, for instance, the TARDIS (an acronym, by the way for Time and Relative Dimension in Space), the Doctor’s spaceship: it’s a pan-dimensional time-travelling machine that’s larger than it appears. Yet, as unfathomably complex as it is, it is still a contraption that is controlled by switches and levers and tangible electrical circuitry. 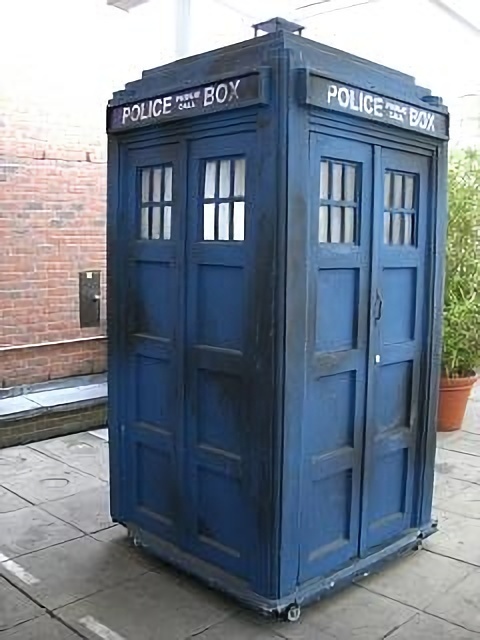 For all its seemingly fairy-tale-like ephemerality, the TARDIS not only resembles a 1950s British police box, it is as solid, tangible, and dependable as one. As an interesting aside, I hypothesised a while ago that all works of British genre fiction have a detective story structure. But what is a golden age British detective story but an idiosyncratic artifice, a fantasy? And what is any piece of genre fiction but an artificial construct, an axiomatic fantasy? And isn’t it telling and fascinating, when you think about it, that almost all literary genres and their tropes originated in British fiction? Given this wealth of literary material, British television shows have been, arguably and in my opinion, the most literary of TV shows—literary not only in the sense of being adaptations of literary material, but also in the sense of taking sheer pleasure in story-telling, the magic of story making, and an inherent awareness of the constructed nature of fiction. It is in this sense that Doctor Who is best described as a literary fantasy in the garb of science fiction. And, perhaps, the only one of its kind on television. This entry was posted in Notes on Literature, Notes on TV Shows and tagged British, British Fiction, Doctor Who, Fantasy, Fiction, genre fiction, John Crowley, literature, Little Big, Science Fiction, TARDIS, television, TV, TV Shows. Bookmark the permalink.